Nagasaki is a gorgeous city that might be a bit out of the way, but it is well worth a visit if you love history, Japanese culture and great food. 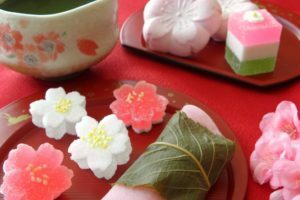 The city has been massively influenced by other cultures, which is very noticeable in Japan because the country has such a strong sense of identity. Nagasaki makes you question what it means to be Japanese and the limits of Japanese culture, as I discovered when I visited this year. Due to its history of being a trading post there are local foods like ‘Turkish rice’, Chinese-style temples like Kofukuji Temple, and Christian churches. 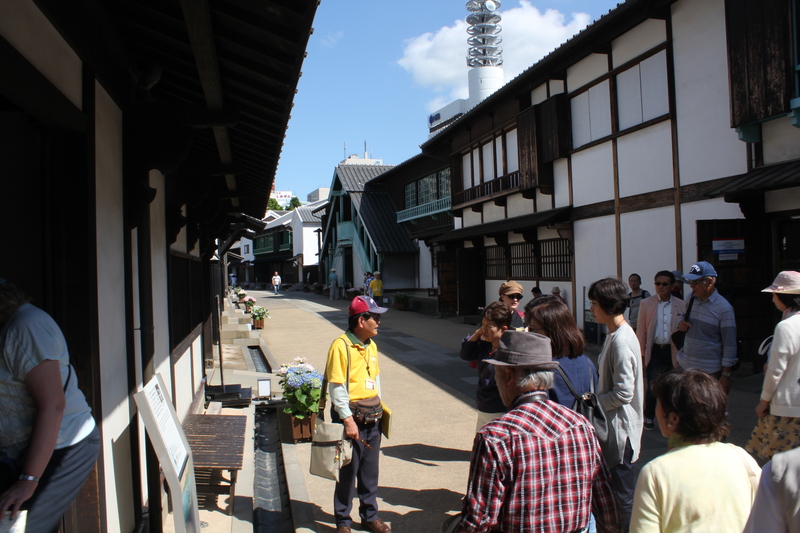 A fascinating place to visit that really highlights this meshing of cultures is Dejima (出島). Here you can see the original site where many of the first foreign goods came into Japan. Today the island is a museum that is connected to the mainland, but back in the day it was home to European and Chinese sailors. 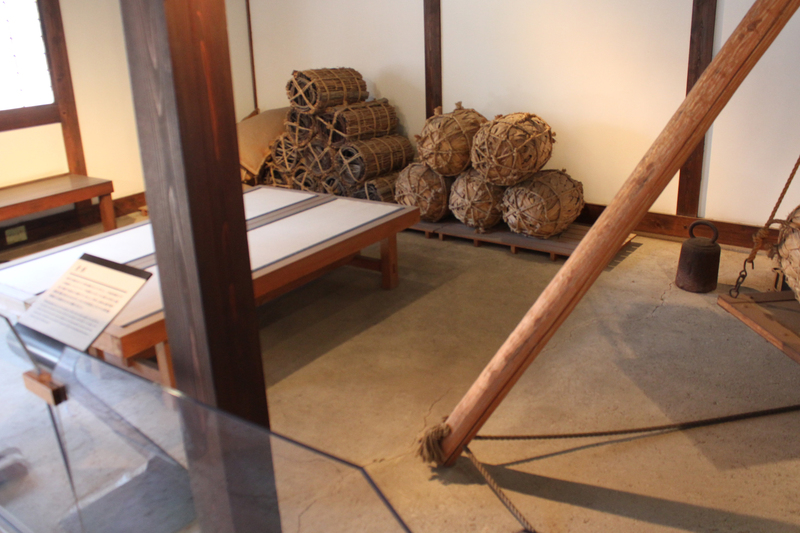 Dejima was created because in 1634 the law said that no foreigner could step foot on Japanese soil. This artificial island allowed merchants to dock close to Nagasaki and introduced the Japanese people to new commodities such as sugar, spices and gun powder. Now the island is surrounded by the expanded coastline of Nagasaki, but it has been restored to almost exactly the way it was. The buildings still stand but are now filled with information about the first traders who came here, along with recreations of the produce and technologies they would have sold. 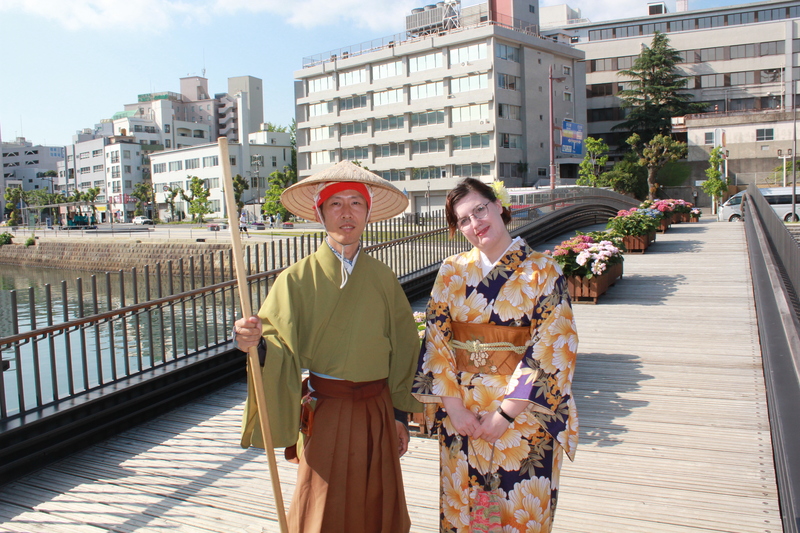 One of the biggest draws of Dejima is that you can live the history and dress in a traditional kimono as you stroll about the island. There is a kimono dressing service that allows visitors to pretend they are back in the 1600’s and experience ancient Japan. There is also various staff who you can interact with and are more than happy to take a picture with you. Most of the buildings are old warehouses but the island had a full hierarchy that you can learn about. The largest of the buildings used to belong to the richest merchants. They were given very fancy quarters in a bizarre-looking imitation of Europe from people who had never seen the continent. They would all eat in a luxurious dining room that visitors can explore, along with the office and bed chambers. Towards the east side of the island is a small, serene garden. There is a miniature bridge that is perfect for posing upon, as well as an even more miniature model of the entire island. 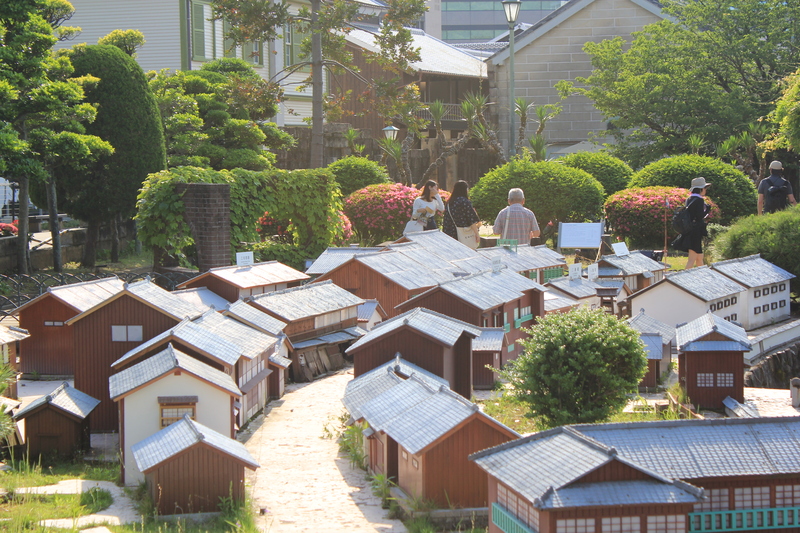 The mini Dejima is really detailed and fascinating to look at as it was made to show how the island would have looked nearly 400 years ago. A group of local activists called “Dejima Again” (link in Japanese) want to preserve the island and make it surrounded by water once more. 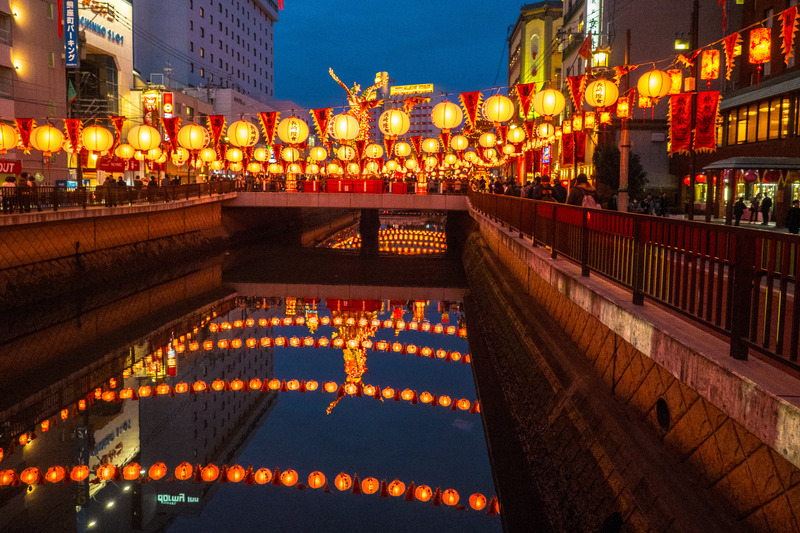 Currently only one of the four sides is exposed to water in the form of a canal with a bridge that connects it to one of Nagasaki’s main streets. The other sides are next to roads due to Nagasaki expanding and reclaiming land from the sea. 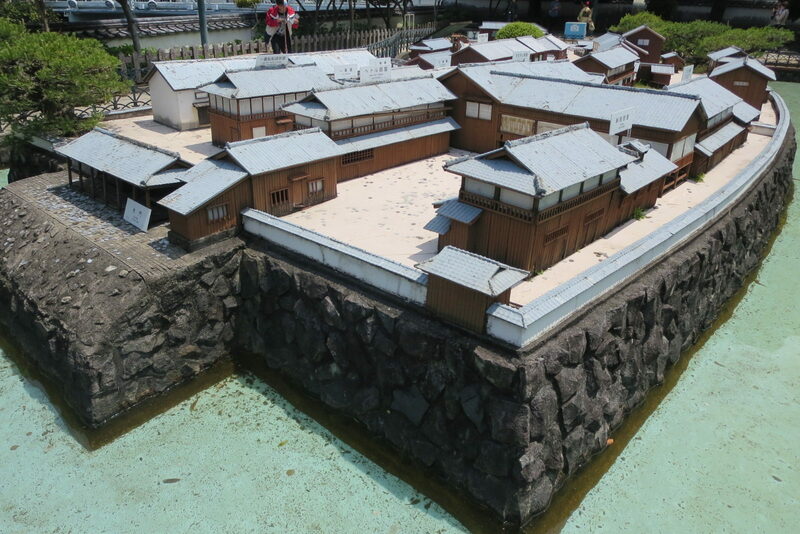 The eventual plan is to build a moat around Dejima so that is can be an island again, even if it is surrounded by modern constructions. Nagasaki City is moving towards this, trying to balance keeping their modern citizens happy and persevering their history. 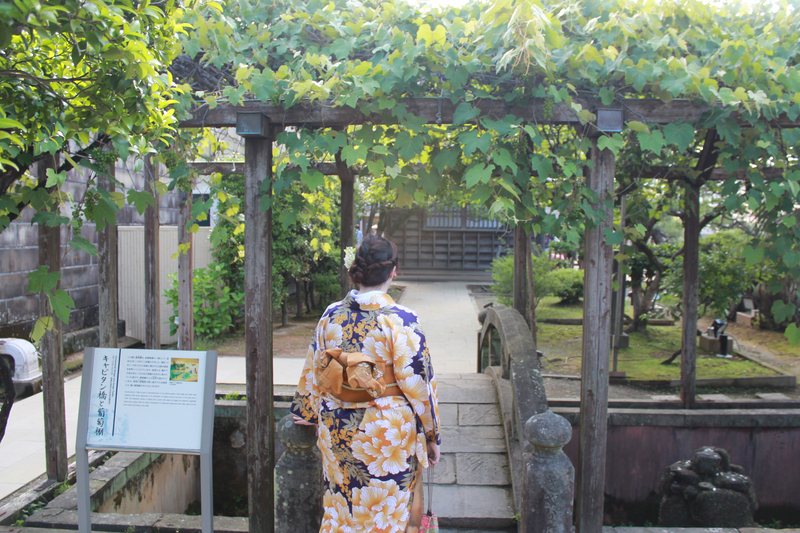 Dejima is a wonderful place to visit if you want to get a taste of the deep history of Nagasaki. It is a place you can just swing by and have a quick look at, or you can spend a whole day if you want to fully take in the sites. 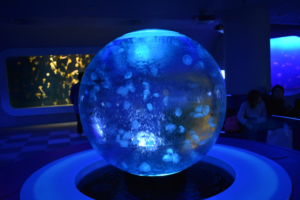 From 8 a.m. to 9 p.m.
From Nagasaki Station, take the tram towards Sofukuji and get off at Dejima Station. Dejima is right in front of the station. Alternatively, you can take the bus from Nagasaki Station’s South Exit to Shinchi Terminal. Dejima is a 5-minute walk from the terminal.